Do you think online reviews have little to no effect on your dental practice? If your answer is yes, you are among the 7% of practitioners who still think the same! If you actively promote your dental practice on the web or social media, by now, you’d be well aware of the fact that the reviews potential patients see about your practice online can really affect your bottom line. And there are a ton of resources out there that can tell you all day that collecting reviews for your dental practice is vital, and how going out of your way to handle them effectively can do wonders for your practice. Got some negative reviews of your practice? Dental marketing specialists have you covered to tackle this situation as well. 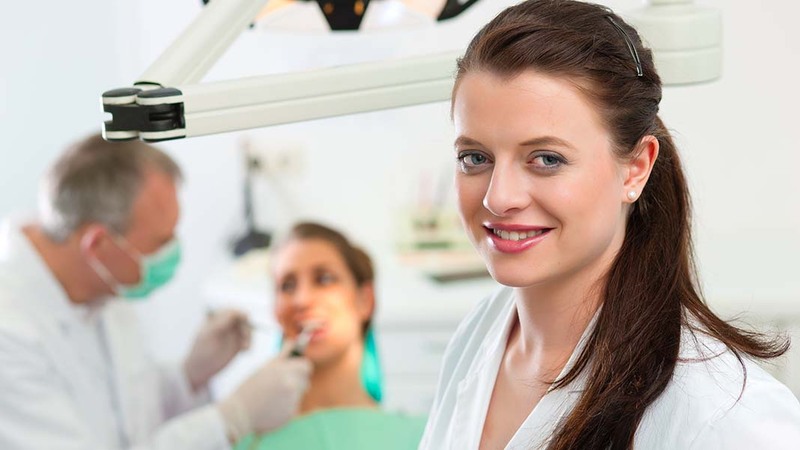 As a dental marketing services providers ourselves, we completely understand the rage around reviews and the persuasiveness they bring to the table. Those comments can drive potential patients right into or away from your practice, solely depending on the quality of reviews you have gained over time. While every blog on reviews will tell you to monitor all the reviews you get and proactively reply to all of them, signing up for Google Alerts will only get you so far. It takes times for the Google algorithm to index and identify your brand mentions around the web, probably a day or two, and in that time, it may be too late for you to follow up with a review effectively. The situation gets worse in the case of a negative review, with delays in a proper follow-up, forcing patients to choose your competitors instead of you. Dental practices of today need well-thought-out, comprehensive solutions that focus on providing just this functionality of soliciting, monitoring and replying to positive or negative reviews about your dental practice in real-time. That way you can proactively manage them to your best ability and probably enhance your practice’s reputation in the eyes of other reviewers as well. A lot of our clients ask us about which tool we use to grow and manage their reviews around the web proactively. While we have developed our own in-house tool to effectively manage reviews of all our clients, many practices don’t have the resources and the required time to develop their review management solutions in-house. So, it’s better to vouch for the tools that excel at providing this functionality to dental and healthcare practices around the globe. Get Five Stars integrates with over 45 top review websites and sends you real-time notifications if you have received a review on any of the platforms they have established integrations with. By using this tool, you can solicit reviews from your patients via SMS or emails. This tool even provides the functionality of gathering your best reviews and placing it on your website with the help of a testimonial widget. That’s great for dental practices trying to gain some momentum in the industry. With all the functionality mentioned above, what sets Podium apart is its hundreds of integrations with review websites and dental practice management platforms alike. With integrations to top review platforms such as Facebook and Google, the tool seamlessly blends with leading dental practice management platforms like Dentrix. With Podium’s robust review management functionality, you’ll also receive comprehensive web chat functionality and a streamlined messaging platform designed to initiate all kinds of interactions from your patients at any touch-point. Birdeye is a Goliath when it comes to proactive review gathering, monitoring, and management and we love it. The Birdeye tool integrates with over 250 top review websites, and if you combine it with the integrations they provide for CRMs & PMSs, the number goes well beyond a thousand. What sets Birdeye apart is its functionality of soliciting reviews from patients with the help of Facebook Messenger, which results in more natural feedbacks and reviews quickly. Also, promoting your best reviews to Facebook, Google+ and Twitter is a walk in the park with Birdeye. Apart from catering to everything related to reviews, Birdeye has packed a lot of functionalities in their arsenal that can help your dental practice grow. From listings to fully managing your social media profiles, they have tools for just about everything. Podium and Birdeye provide custom tailored pricing according to the functionality you want, whereas Get Give Stars provides fixed plans with pre-determined features. To give you an idea, it can cost your practice around $40-$350 depending on the features you choose. All these tools have a mobile app as well so you can respond to reviews on the go. And with their quick support teams, these platforms leave no stone unturned to make sure you are fully familiar with their product and aren’t facing any problems. I would suggest trying their demo versions first to get a gist of what these tools have up their sleeves to get the most bang out of your buck. It doesn’t really matter which tool wins your heart, but one thing is for sure, by using these tools and being proactive in your review management, you will surely win the hearts of your potential patients. Saifi Rizvi is a passionate blogger and an accomplished digital marketing trainer. He is working with a leading digital marketing company and has written blogs on various topics like SEO, Blogging, products reviews, making money online, Google AdWords, etc. He has assisted many clients from different industries and helped them improve their online strategies.